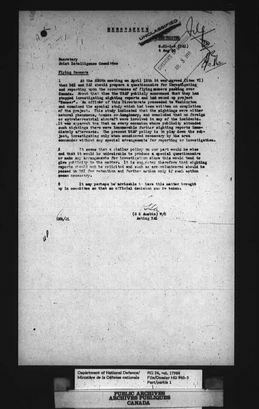 Letter is followed by footnotes that correspond to the red notations within the letter itself. 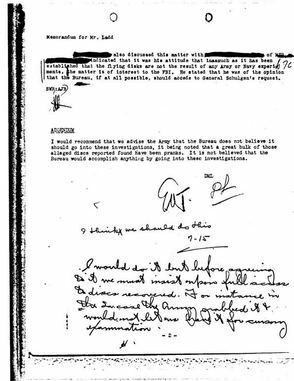 Since this de-classified documentation originates from within our own government’s archives, the question as to whether or not these ‘craft of unknown origin’ are ‘real’ is now immaterial. 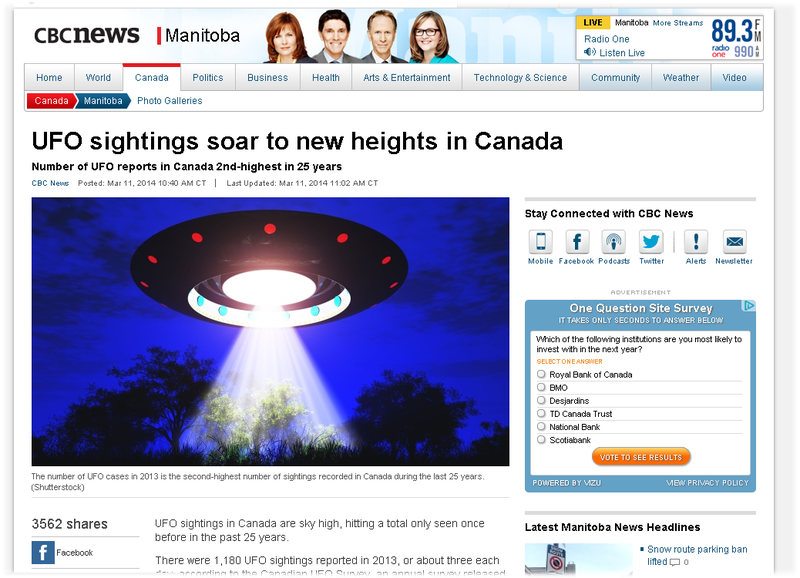 What has become of material relevance is; Canadian and United States authorities have engaged in discussions about the existence of these unidentified craft, their origins and the national security implications of recurrent and well-documented unauthorized incursions into Canadian airspace. 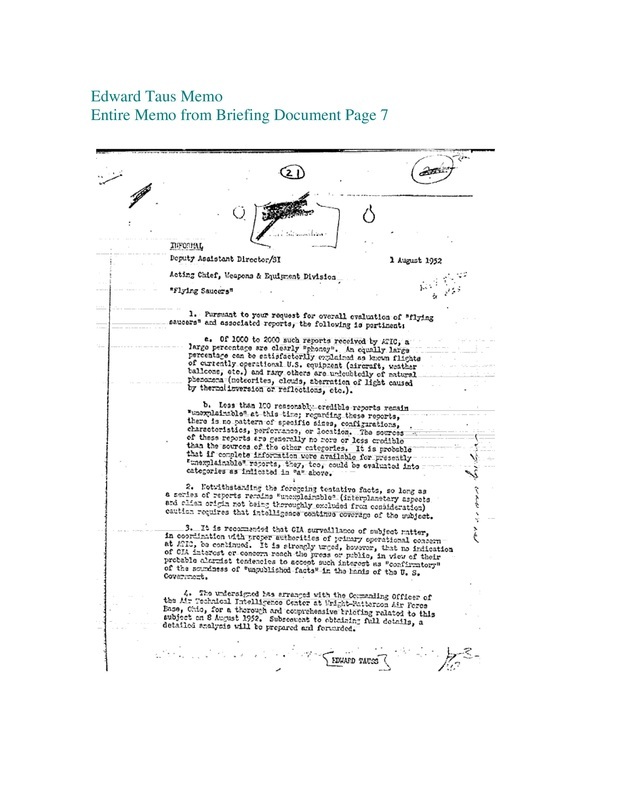 (6) Documents exist that also describe government measures to keep this information hidden from the public. 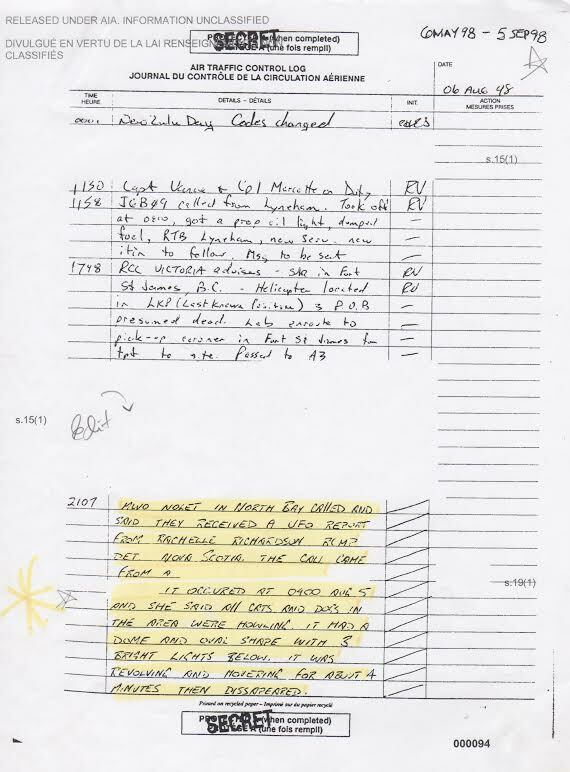 (7) RCMP and military officers, pilots (8), police officers and citizens have also made reports of these incursions. Further inquiry indicates the NORAD Commander has stated that each year for the last 5 years NORAD reports an average of 1800 Tracks of Interest (TOIs) and 75 intercepts of these craft. (9) Despite this overwhelming number of official incursion reports, no public inquiry or public statements by the Department of National Defence has ever been made to address this matter. Instead, government secrecy prevails. As concerned Canadians, with all of the rights pursuant to our citizenship, answers to the questions raised by these documents and testimony on this most unusual and serious matter are urgently required. To address these matters, Disclosure Canada is conducting a series of nationwide events to explain to Canadians the national security issues related to the classified and declassified documentation concerning ‘craft of unknown origin’. Speakers involved in this series are expert international researchers and authors, professionally versed in these matters - lead by one of your predecessors The Hon. Paul T. Hellyer. 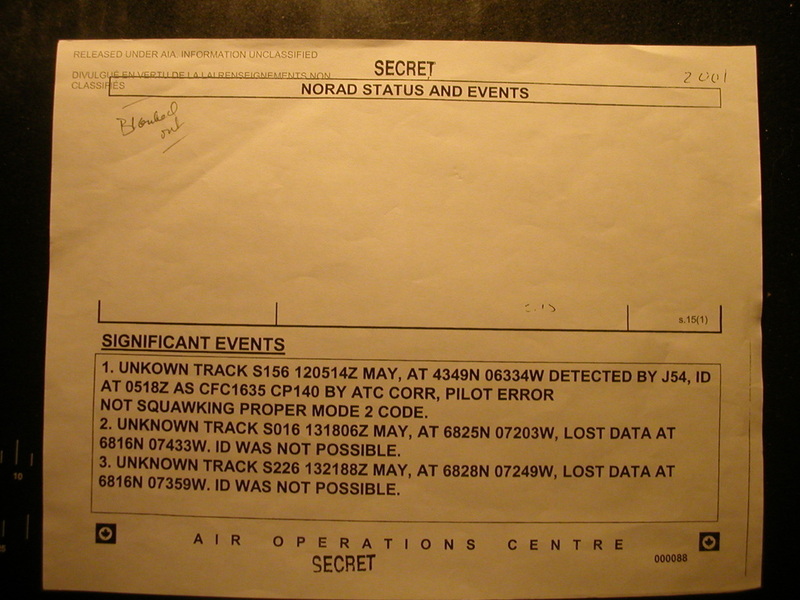 All referenced documentation below unmistakably demonstrates that departments under your jurisdiction; NORAD, the Department of National Defense and the Canadian Armed Forces are well aware of multiple unauthorized incursions within Canadian airspace of craft of unknown origin. Therefore, we feel, it is incumbent upon you as the Minister of Defence to take this opportunity to attend one or more of these events, or to send a representative of the Defence Department to authenticate and be accountable for what these agencies have publicly acknowledged. 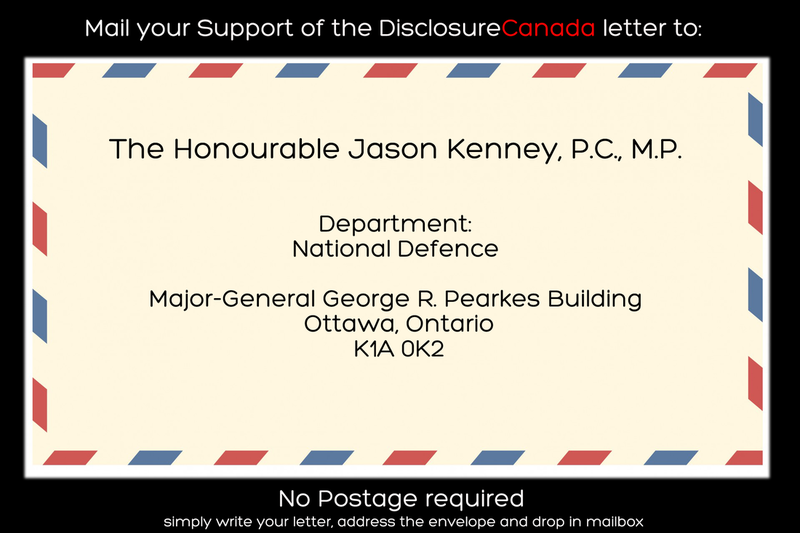 If you, as sitting Minister of Defence, have not been briefed on this critical national security information, you should be, as this matter clearly falls within the fiduciary mandate of your portfolio; thus, released declassified documentation can be publicly addressed by you. 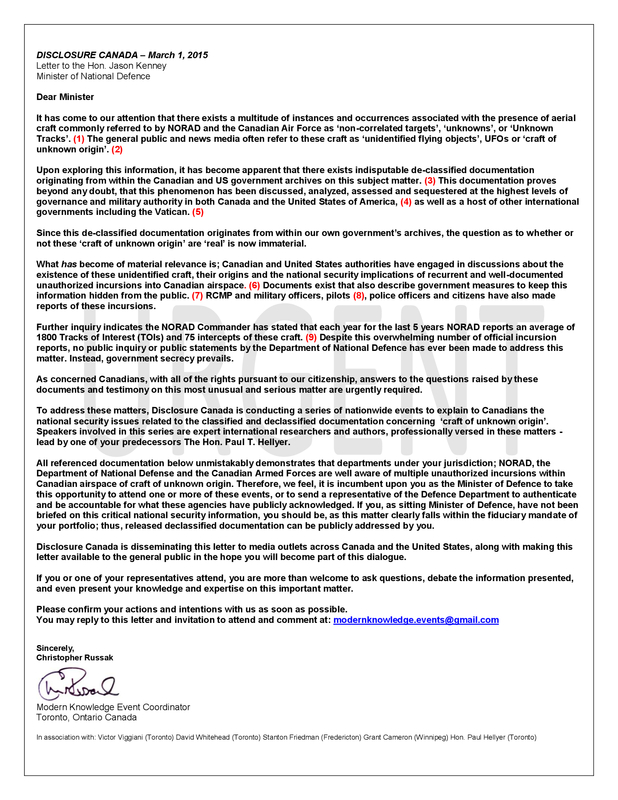 Disclosure Canada is disseminating this letter to media outlets across Canada and the United States, along with making this letter available to the general public in the hope you will become part of this dialogue. If you or one of your representatives attend, you are more than welcome to ask questions, debate the information presented, and even present your knowledge and expertise on this important matter. Please confirm your actions and intentions with us as soon as possible. Write The Hon. 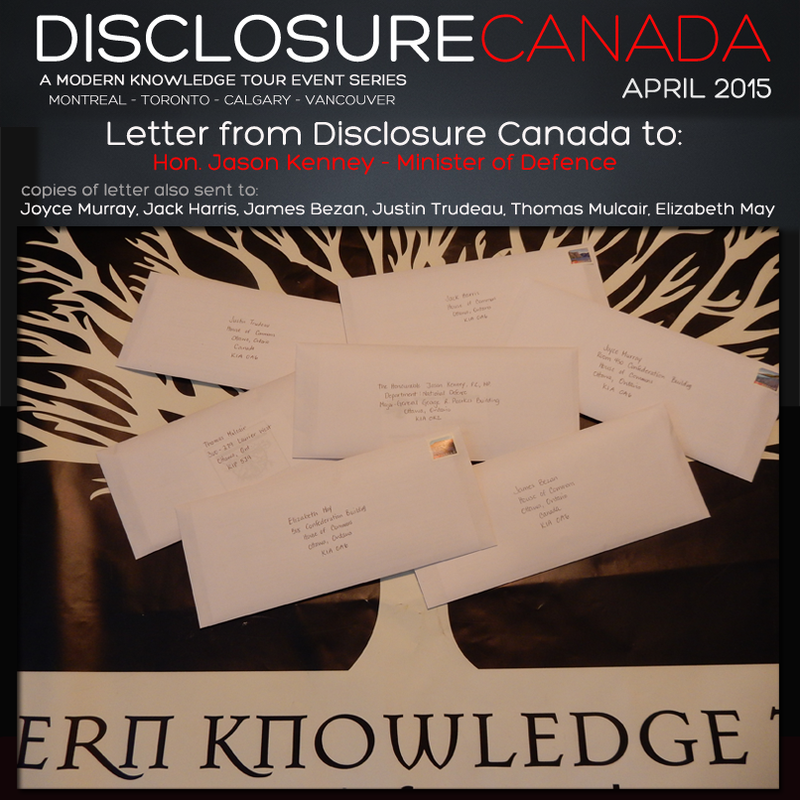 Jason Kenny and notify him of your support of this letter from Disclosure Canada. Please, in your correspondence letter with the Minister, include a copy of the Disclosure Canada Letter by printing off a copy that is provided below in 'Downloadable Files"
Footnote #1 - It has come to our attention that there exists a multitude of instances and occurrences associated with the presence of aerial craft commonly referred to by NORAD and the Canadian Air Force as ‘non-correlated targets’, ‘unknowns’, or ‘Unknown Tracks’. at Loring AFB, Maine. Apparently this was second night in a row for this occurrence. 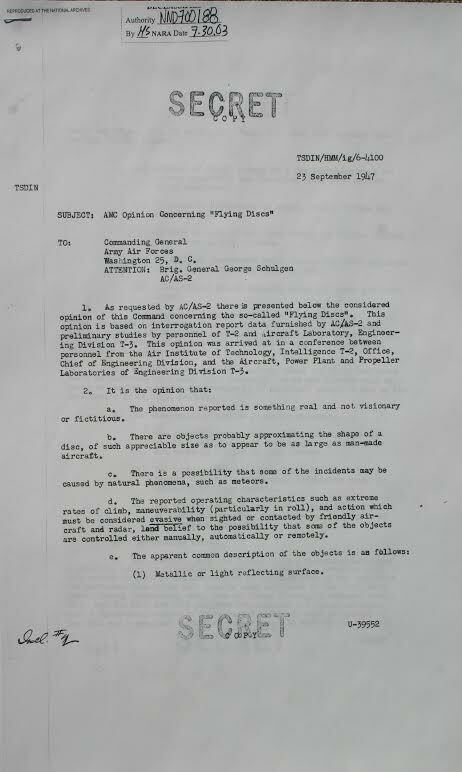 There was also an indication but not confirmed, that Canadian bases had been over flown by a helicopter. departed area. Tanker flying at 2700 feet made both visual sighting and radar skin paint. 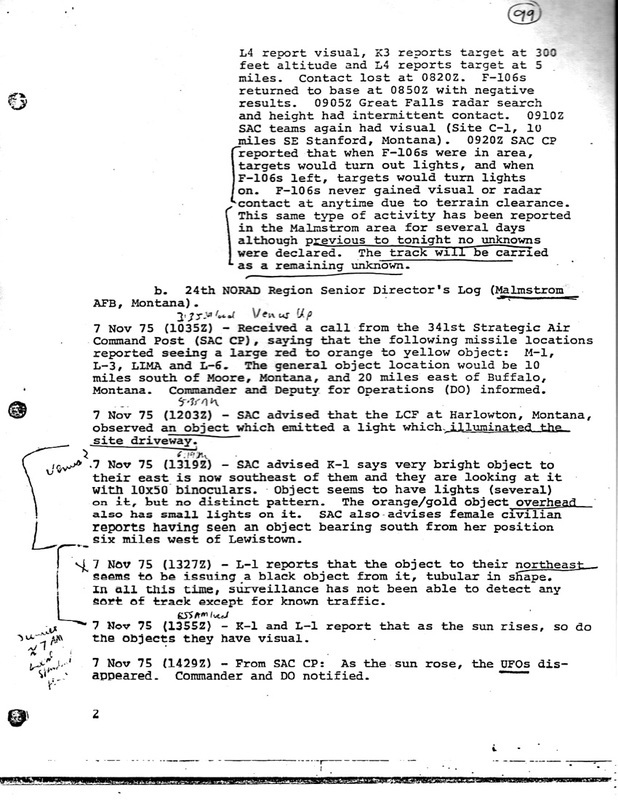 Tracked object 35NM SE over Lake Huron where contact was lost. Falls at 0745Z. 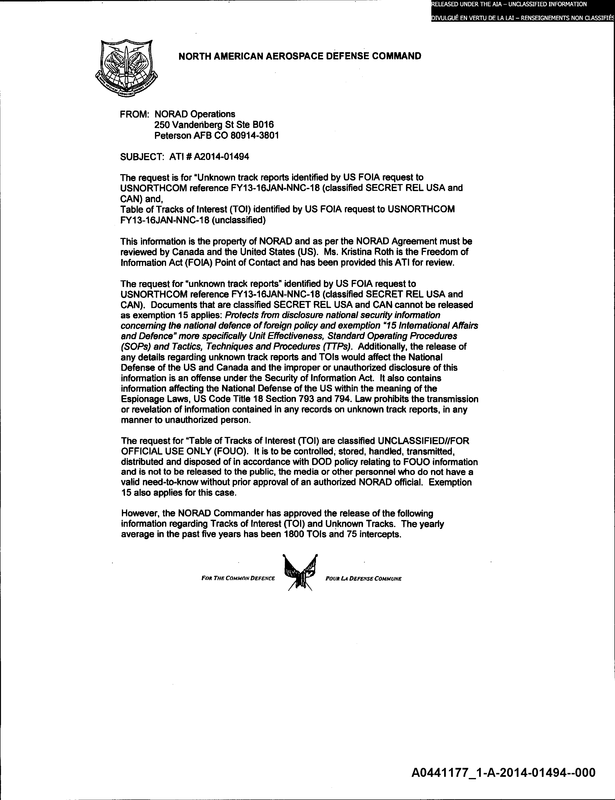 SAC reported visual sighting Sabotage Alert Teams (SAT) K1, K3, Li and L6 (lights and jet sounds). Weather section states no anomalous propagation or northern light. 0835Z SAC SAT Teams E3 and L4 report visual, K3 reports target at 300 feet altitude and L4 reports target at 5 miles. Contact lost at 0820Z. F-106s returned to base at 0850Z with negative results. 0905Z Great Falls radar search and height had intermittent contact. 0910Z SAC teams again had visual (Site C-1, 10 miles SE Stanford, Montana). 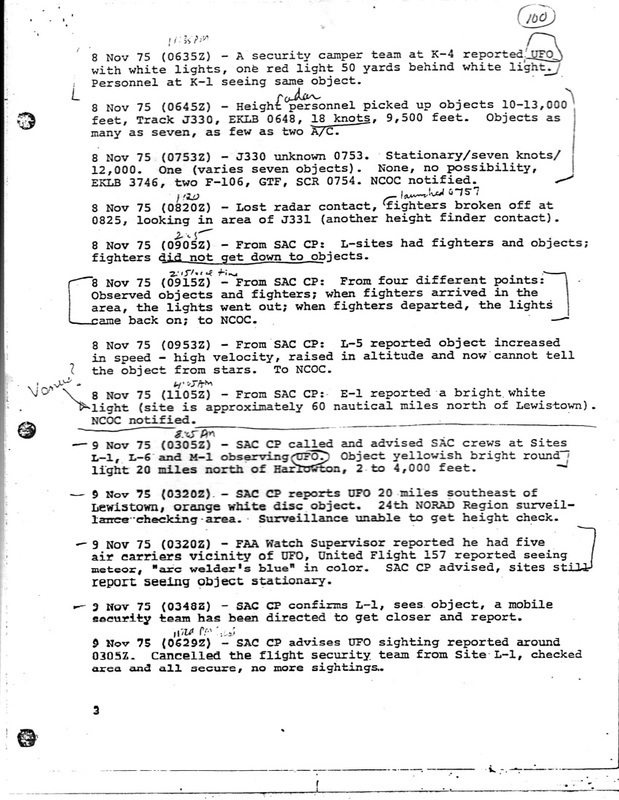 0920Z SAC CP reported that when F-106s were in area, targets would turn out lights, and when F106s left, targets would turn lights on. F-106s never gained visual or radar contact at anytime due to terrain clearance. This same type of activity has been reported in the Malmstrom area for several days although previous to tonight no unknowns were declared. The track will be carried as a remaining unknown. Footnote #2 - The general public and news media often refer to these craft as ‘unidentified flying objects’, UFOs or ‘craft of unknown origin’. 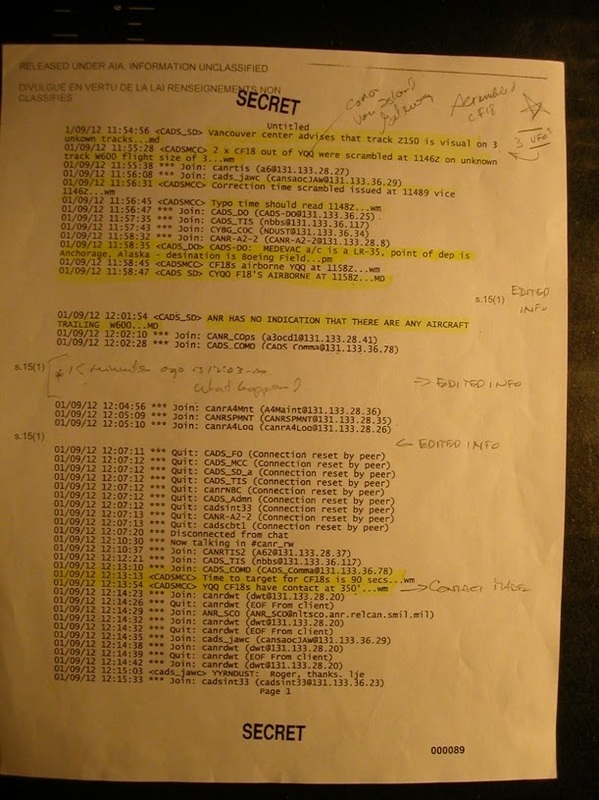 Footnote #3 - Upon exploring this information, it has become apparent that there exists indisputable de-classified documentation originating from within the Canadian and US government archives on this subject matter. "Project Magnet" Top Secret Memo has been recovered from the Archives at the University of Ottawa. 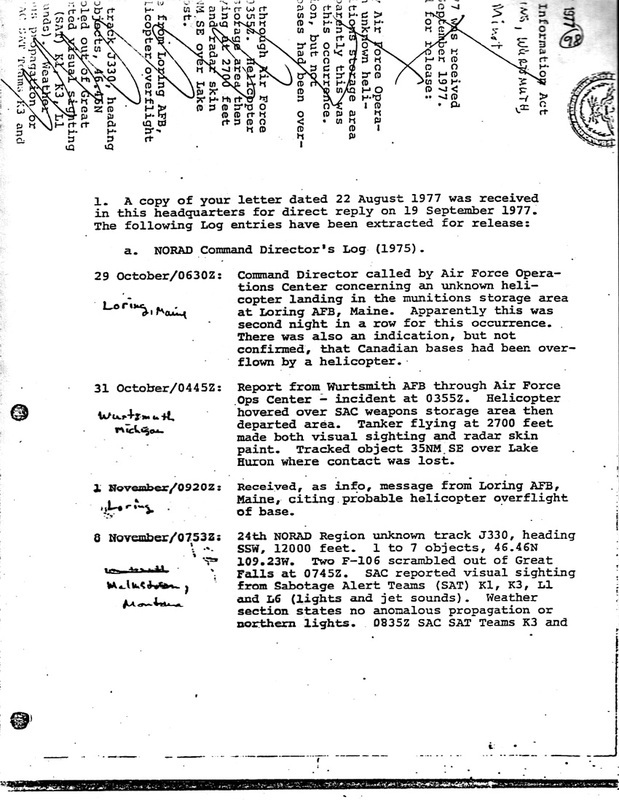 from the CIA website titled "Flying Saucers"
Documentation: General Nathan Twining, Head of the U.S. Air Material Command (AMC), wrote a classified letter to Air Force General George Schulgen regarding the “flying discs." 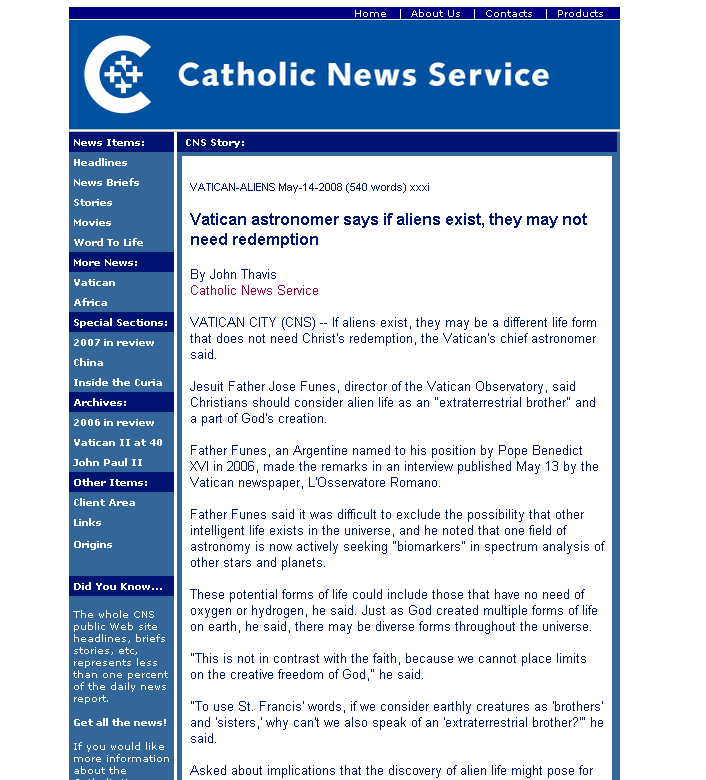 He confirmed that saucer-shaped UFOs were, “real and not visionary or fictitious”. 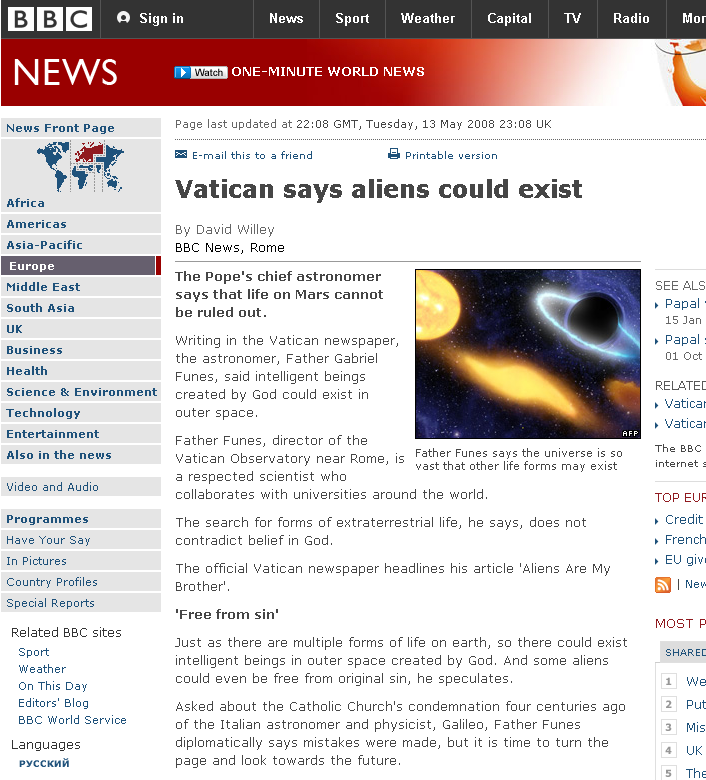 Footnote #5 - ... as well as a host of other international governments including the Vatican. 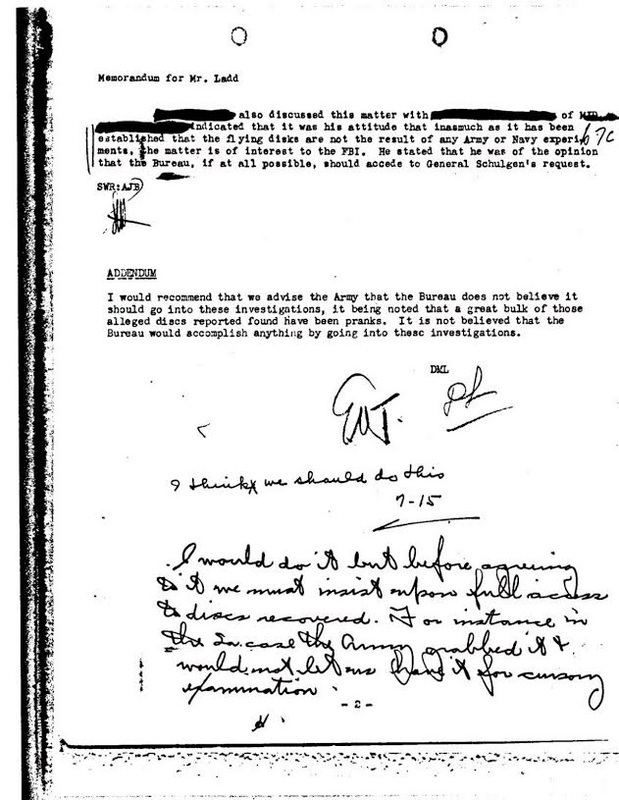 The above memo, handwritten by J. Edgar Hoover in mid-July of 1947, can be found on the FBI's own website at: http://foia.fbi.gov/ufo/ufo1.pdf (see page 45 of 69, also page 38). 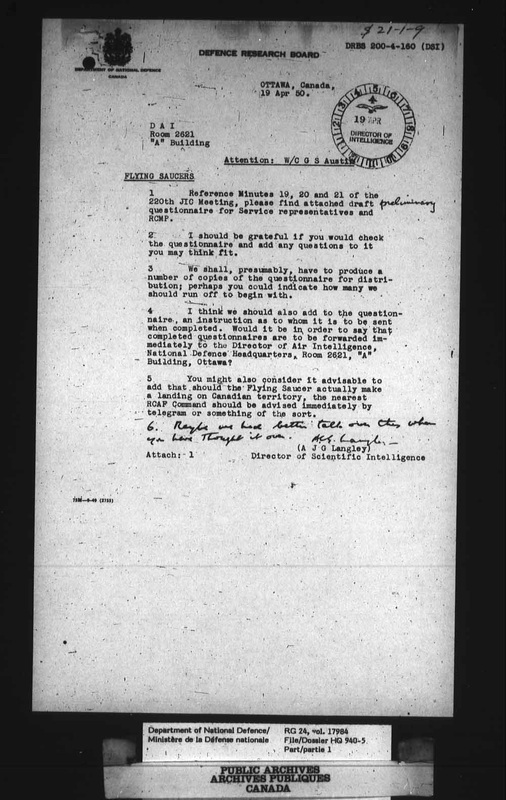 The memo states: I would do it but before agreeing to it we must insist upon full access to discs recovered. 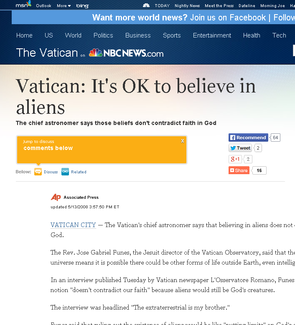 For instance in the La. case the Army grabbed it & wouldn't let us have it for cursory examination. 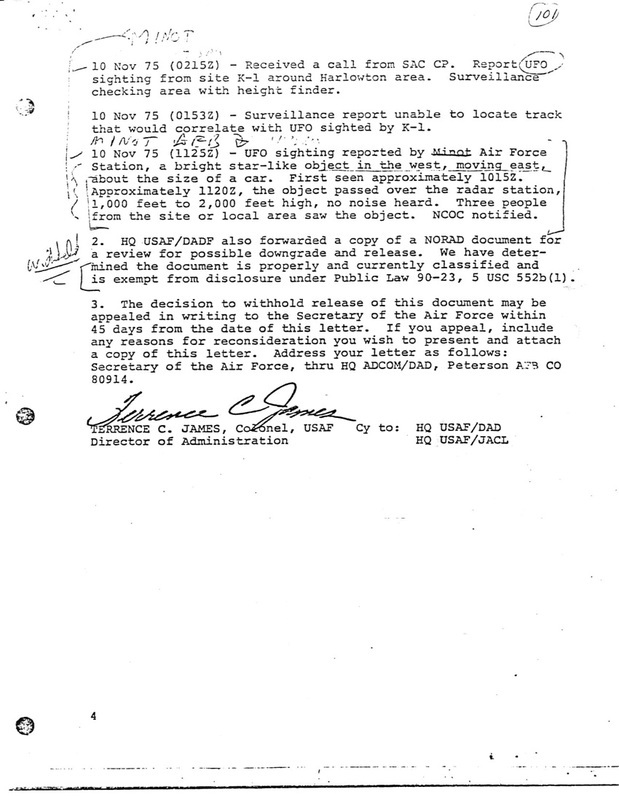 Footnote #7 - Documents exist that also describe government measures to keep this information hidden from the public. Around 3 a.m. on 26 December 1980 an Unidentified Flying Object was reported by a security patrol near the East Gate of RAF Woodbridge. 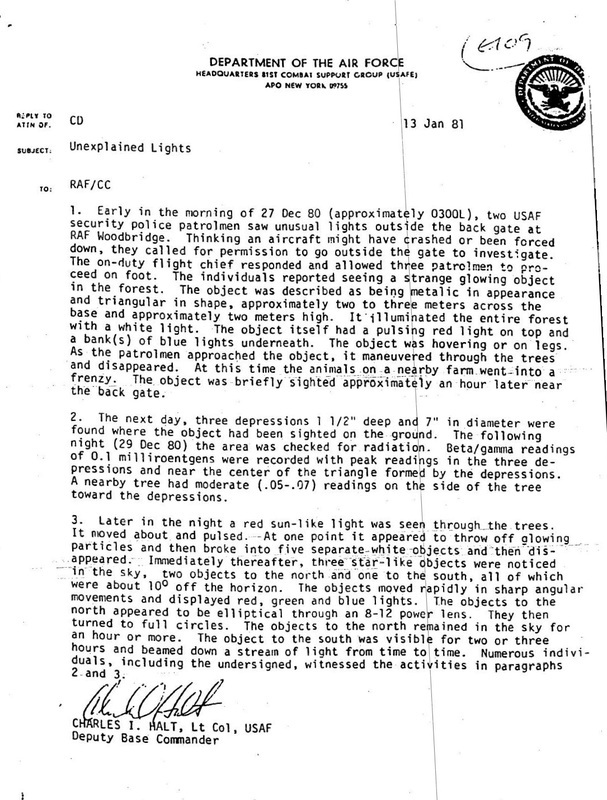 Servicemen initially thought it was a downed aircraft but, upon entering the forest to investigate, they saw many strange lights moving through the trees, as well as a bright light from an unidentified object. After daybreak on the morning of 26 December, servicemen returned to the small clearing where the conical object had been seen, and found three small impressions in a triangular pattern, as well as burn marks and broken branches on nearby trees. Plaster casts of the imprints were taken and have been shown in television documentaries. Servicemen from RAF Woodbridge's sister base, RAF Bentwaters, returned to the forest again, following another sighting in the early hours of 28 December 1980. The deputy base commander Lt Col Charles I. Halt recorded the events on a micro-cassette recorder. 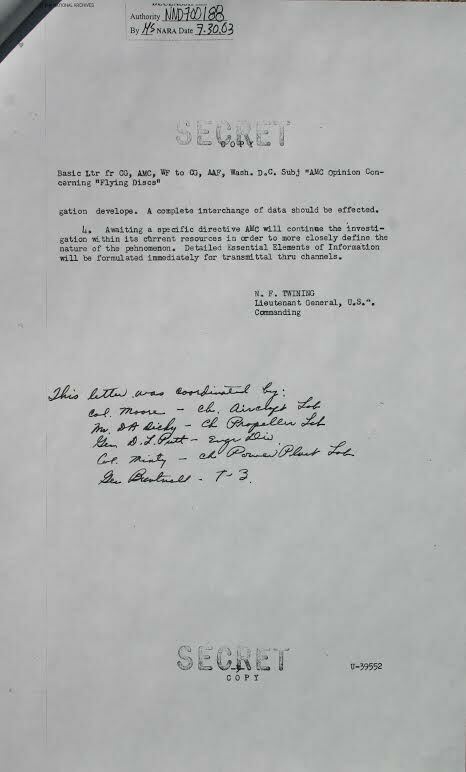 The site investigated by Halt was near the eastern edge of the forest, at approximately 52° 05 20 N, 1° 26 57 E.
The transcript Lt. Colonel Halt: 150 feet or more from, I should say… suspected impact point. Having a little difficulty, we can’t get the light-alls to work. There seems to be some kind of mechanical problem. Let’s send back and get another light-all. Meantime, we’re gonna take some readings from the geiger counter and… chase around the area a little bit waiting for another light-all to come. Lt. Colonel Halt: OK, we’re now approaching an area within about twenty-five to thirty-feet. What kind of readings are we getting…? 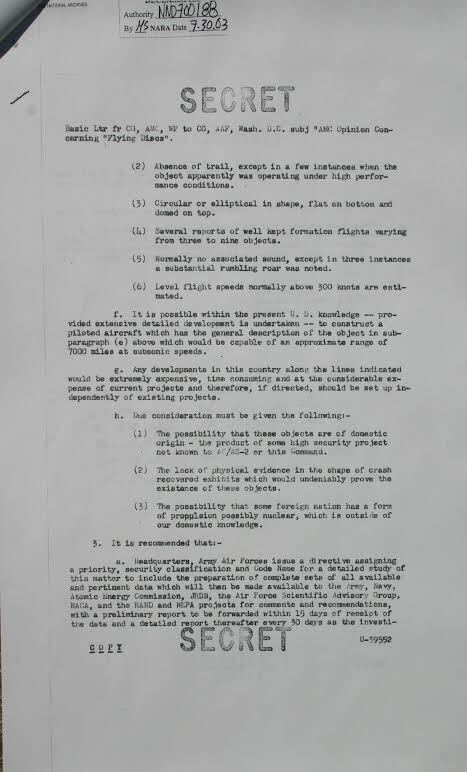 Footnote #9 - Further inquiry indicates the NORAD Commander has stated that each year for the last 5 years NORAD reports an average of 1800 Tracks of Interest (TOIs) and 75 intercepts of these craft.